Logic Smoke has rolled out a Peanut Butter E-liquid flavor that is TOP NOTCH. Its rich bold flavor is as close to fresh ground peanut butter as you can get without enjoying a creamy spoonful of real peanut butter. 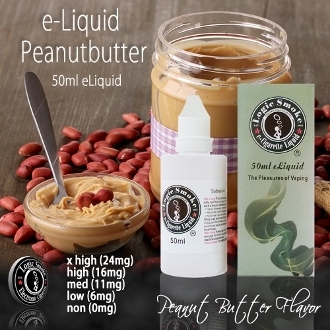 Grab a bottle of Peanut Butter E-liquid from Logic Smoke and find your new favorite vaping treat for your tastebuds.